“Team Red” is composed of individuals whose average IQ is 118, about 18 points above the public average. “Team Blue” is composed of individuals who have ordinary, everyday IQ’s, yet they have one individual on the team who has an IQ of 155. Which team would you bet on to win the competition? With apologies due, this is a trick question. If Alan Mulally were reading this book with you, he’d likely tell you you’re measuring the wrong success variable. Both teams may do well, because intelligence is a predictor of success. Yet, both teams will lose – and lose big – if they encounter a team in the market that has something else: the ability to work together. If you bet on Team Red or Team Blue, you shouldn’t be blamed. Countless organizations attempt to win in their market the same way: with a nearly singular focus on intelligence or talent of the individual. The thinking goes “the smarter and more capable individuals we have, the better we’ll perform.” So these organizations establish systems for attracting, hiring, training, and retaining individuals. Then they assess employee motivation and satisfaction, common measurements thought to be the best predictors of organizational success. All the while, they miss the greatest predictor of a team’s success. At some point, those smart individuals who are being hired and developed are going to bump into each other . . . and discover they actually have to work together to get something done. We manufactured the Team Red and Team Blue competition stated previously to represent what the researchers discovered: Average individual IQ and maximum IQ were poor predictors of group performance, while collective intelligence – the ability to work together effectively – was significantly stronger in foretelling group success. 1. 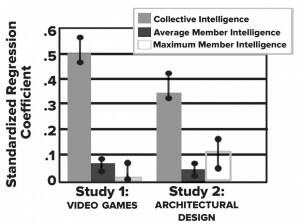 There was a significant correlation between collective intelligence and the average social sensitivity of the group members. 2. Groups where a few people dominated the conversation were less collectively intelligent than those with a more equal distribution of conversational turn-taking. 3. Collective intelligence was positively and significantly correlated with the proportion of females in the group. There are men who prove to be socially sensitive. Alan Mulally is the example featured here. And there are women who have proven not to be socially sensitive. We’ll refrain from providing examples, though, as the point isn’t a focus on gender; it’s this: When you develop the capability within team members to be more socially sensitive and enable enhanced distribution of conversational turn-taking, your team will predictably perform stronger than your competition who may employ smarter people than you. This is precisely what ONE Team delivers: a quick and effective method to facilitate these factors needed for greater success. 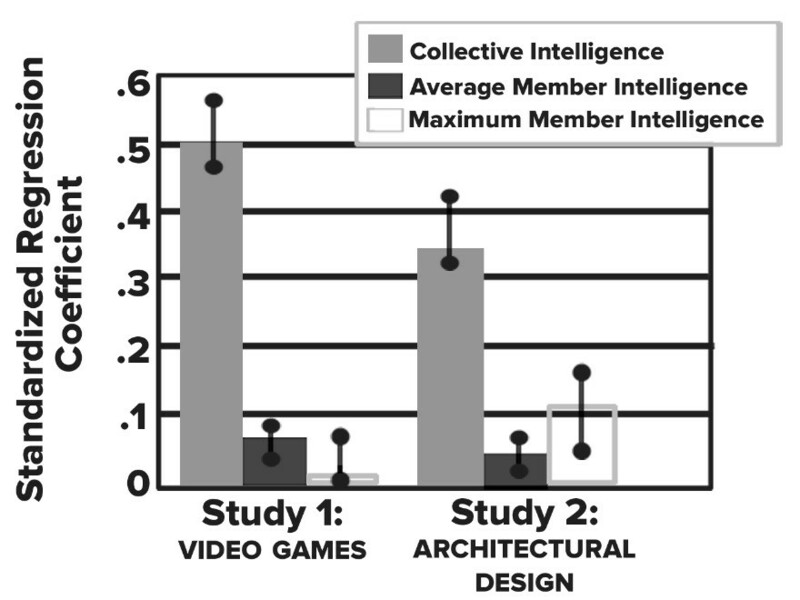 It’s important to be clear: Emphasizing this collective intelligence study is not an argument against the development of the individual. Rather, this is an assertion that an equal focus and investment in how employees work together is woefully overlooked and essential for success. 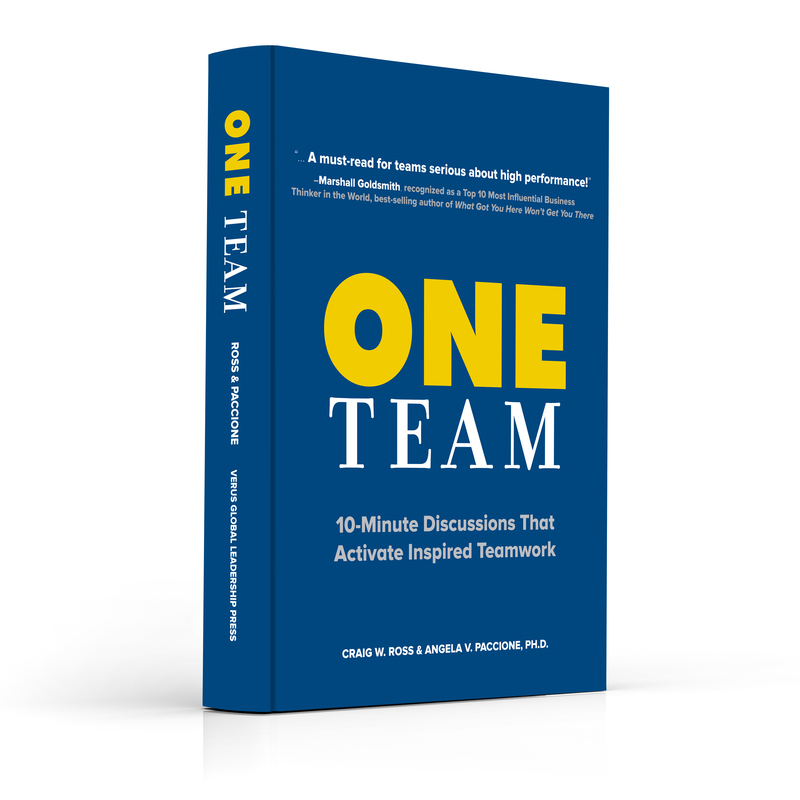 Our experience informs us that it is the vast majority of organizations that claim “teamwork” as a value, yet undermine team effectiveness by elevating the focus on individuals. This means there is tremendous potential waiting to be activated within businesses. Bottom line: Individual intelligence and talent counts, but teamwork rules.